Happy October! Fall is officially here with its crisp sunshine that makes you want to each fresh apples all the time, and while I’m still kind of wondering what happened to summer, Autumn is my favorite season so I’m moving on. I pulled the last few zucchini out of the garden this afternoon and will be cooking them up for dinner tonight. I planted a late fall batch of spinach and salad greens that will stay warm under plastic well into November. A few weeks ago my brother and I picked pears from the tree in my Mom’s garden. They have been ripening in the garage and are finally ready. 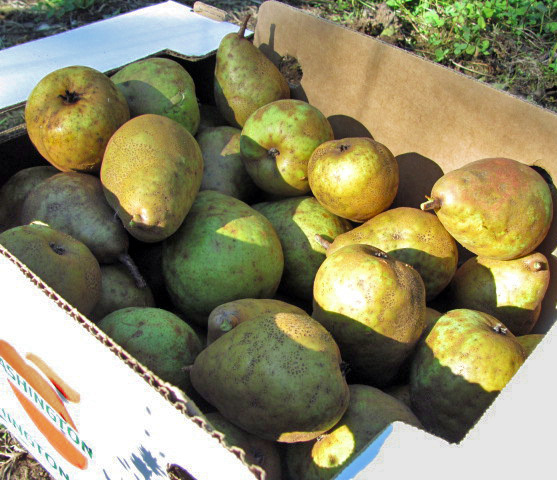 The pears this year were a little on the ugly side but they tasted great. They were perfect candidates for canning, jamming and desserts! Usually I feel a little guilty cooking with the first crop of a season’s fruit because I think they are perfect just the way they are but this crop was just what I needed. With this bounty of ugly pears I set out to use them in delicious ways. First off, my mom and I canned pears in a sweet simple syrup to eat this winter. Next, I made a small batch of Vanilla Pear Jam that is perfect on toast with a cup of tea. Finally, I finished off the pears by making a Pear Strudel with a rum sauce for dessert. 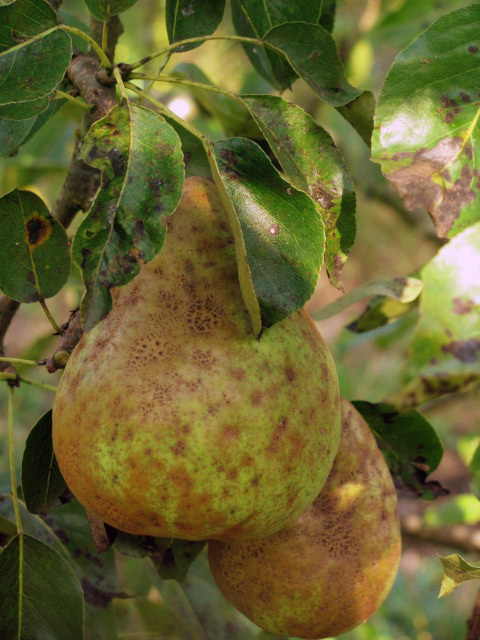 If, perchance, you find yourself in a similar situation with more ugly pears then to know what to do with you are in luck, because I will be writing about these delicious adventures. So, find your self come pears and check back over the next few days! This entry was posted in Dessert, Farm-to-Table, Fruit, Preserving and Canning. Bookmark the permalink.